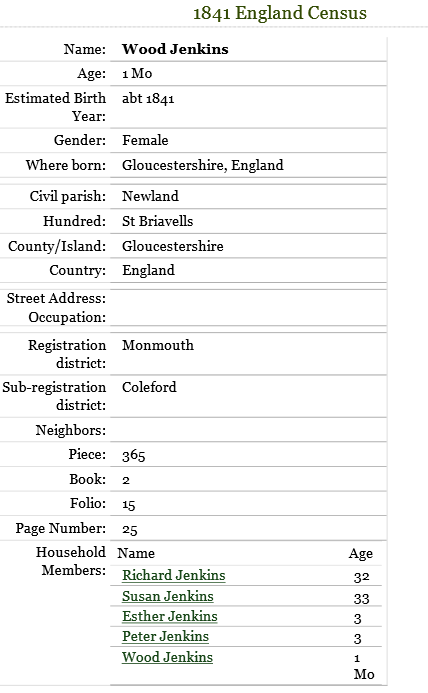 Sarah Cooper, born to William Cooper / Rachel Head on 27th April 1845 and sister to my Ggrandfather Benjamin Cooper. 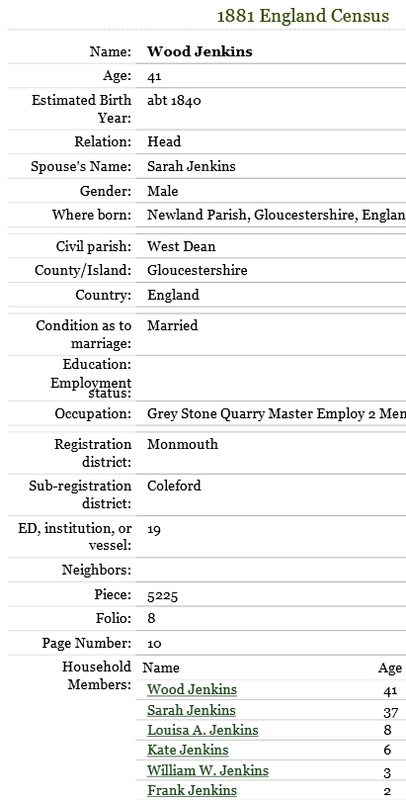 I obtained her birth certificate and I had left the search there. 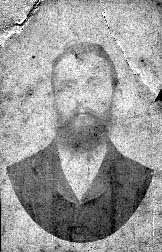 The family have always maintained that there was a Jenkins in the family and recent research has turned up a marriage of a Sarah Cooper to Wood Jenkins. 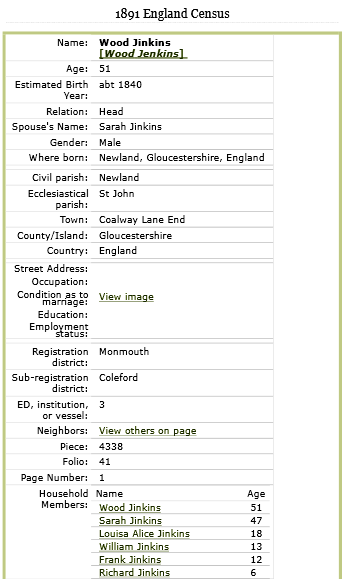 Further research has shown that this is the Sarah I had previously found. 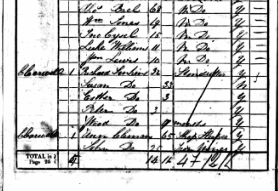 The probate below shows the connection is almost certainly correct. 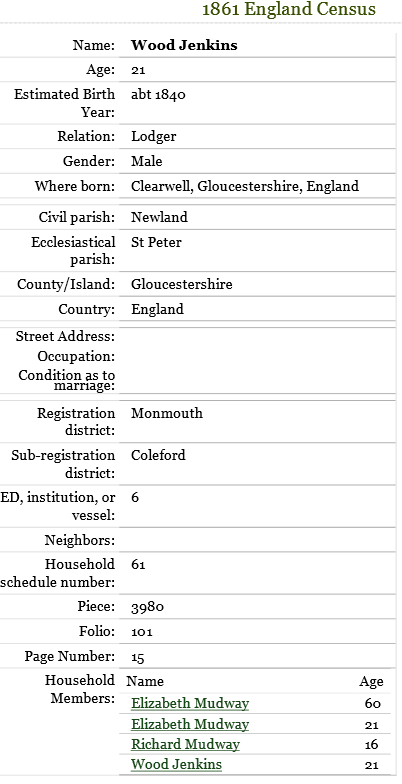 Probate was granted for the estate of Rachel Cooper of Ruspidge (wife of William Cooper Sarah's parents) to Sarah Jenkins, wife of Wood Jenkins. Future research will now concentrate on finding more details. 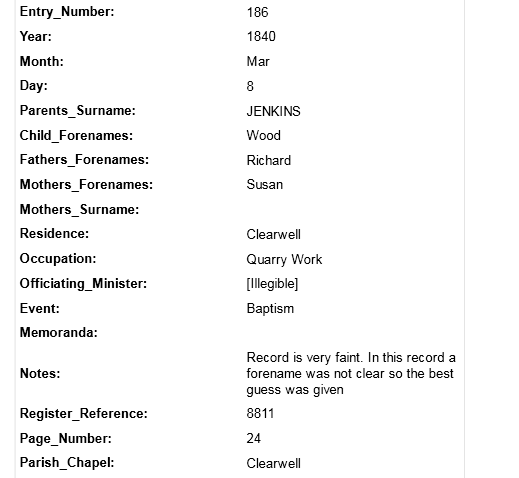 Transcription of the Clearwell parish register showing the baptism of Wood Jenkins to Richard and Susan Jenkins on the 8th of March 1840 - was the 'Wood' Susan's maiden name?